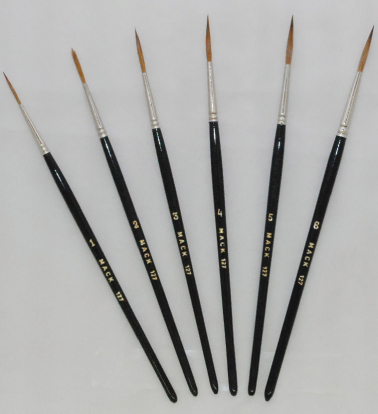 Excellent for Fine Line, Scroll Work, Signwriting, China and Ceramics painting. Hair Lenghts vary from 11/16" to 1"
Made from Pure Kolinsky Sable which are extra fine. 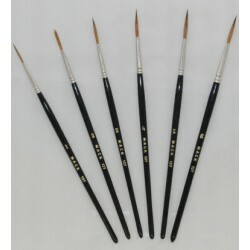 They have nickel ferrules and black polished handles.